Chris Townsend set off to hike the Pacific Northwest Trail [PNT] in 2010, and I followed his adventure with interest on Twitter and via his blog. A few weeks ago his latest book about his thru-hike came out, and it was such a good read that I had a hard time to put Grizzly Bears and Razor Clams down. A Book Review. Reading about someone elses hiking adventures is a good way to put your mind wandering outdoors, if you’re not able to go out yourself. As I’m in that situation at the moment, I was happy to get a review copy of Chris’ latest book. The PNT isn’t a trail you hear that much about, PCT and CDT are much more prominent, though that makes it just more interesting for me. I’m uncertain if I ever will be able to steal away from family and work for a long-distance hike in the USA, though am since a long time looking at the long-distance trails available to me here at home; which seem to be landscape-wise rather similar to the PNT. Anyway. Chris divided the walk for the book into seven chapters. He starts with us in the Rocky Mountains in Montana, and takes us along through the different mountain ranges and valleys, the Idaho panhandle until we are in Washington State and the Olympic National Park and end up at the Pacific coast. Along the way we experience all kinds of weather and environments, encounter wildlife - including Black Bears and Grizzly Bears - visit various towns along the PNT and meet different kinds of people on the trail. Long distance hiking isn’t about the physically easiest or the quickest route but rather about the most wild, exciting and satisfying, which can also mean the most ardurous and challenging. Speaking of the trail, while Chris writes that at the end he only remembered the good times of the trip, in the book we also read about uninspiring sections - along dull forest roads and highways - which are a necessary evil to connect the different trails along the route. But it is the jaw-dropping scenery which Chris describes which make this such a fine read. He describes the scenery in a good way - not down to the last detail as Tolkien does, but with enough room for the reader to paint his own mental image of the landscape, be it a fine ridge walk, a grand view on a mountain, or a camp next to a lake. His excitement for the landscape is contagious. It is funny how each time Chris hit a town to resupply and writes about eating, that I also immediately felt the urge to eat - I guess we backpackers can relate just too well how it feels to come after over a week on the trail to a town and get pizzas, coffees and pints! The town visits are interesting little stories in themselves, and for anyone who wants to thru-hike the PNT Chris’ comments on food and accommodation are likely of interest. Gear nerds will also enjoy the book, as Chris as a separate section at the end of the book about the gear he used, and also talks throughout the other chapters about some of his gear. Be it a backpack which let him down and needed to be replaced, a pair of new shoes, thoughts on his shelter and his choice of stove; it is a great way to read about how lightweight gear performs on a long hike, and what an experienced backpacker like Chris has to say about it. I think this is a very important book, in three ways: Describing the feelings and situations one has to cope with when on a long-distance walk, because these are things which might be overlooked in planning a trip - gear, maps, food and permits often take precedence, and the mental side one has to cope with is likely overlooked. Secondly, it spreads the word about the PNT. In times where the Pacific Crest Trail and Continental Divide Trail are becoming more popular [both, funnily, are crossed by the PNT =] it is good that such a less well known long-distance trail gets written and talked about. Finally, I think this book hopefully helps the different conservation organizations along the trail to succeed in protecting the areas they’re working so hard for. Preserving wilderness is important, for backpackers now, and future generations. Bottomline: I immensely enjoyed this book, and read it very quickly. It is captivating, and I found it difficult to stop reading, as I was curious to read what was awaiting next on the trail - bad weather, a bear, an encounter with another PNT thru-hiker? 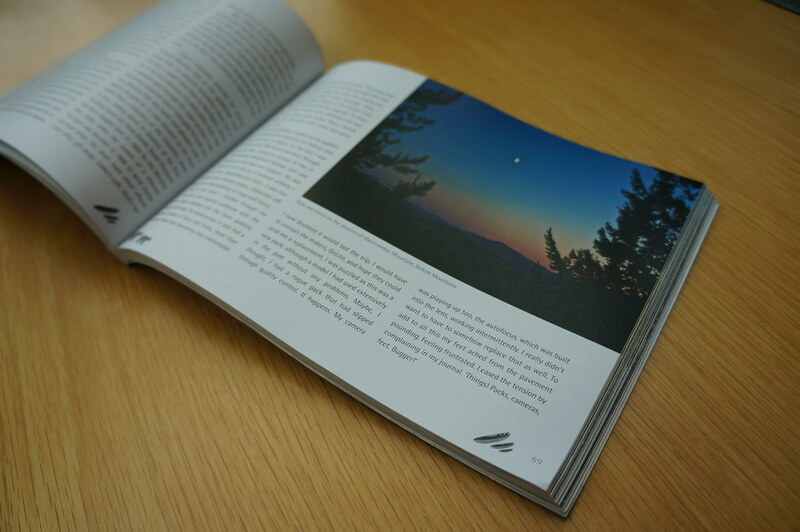 It’s an easy read, well written and has fantastic photos to illustrate the grandeur of the landscape Chris hiked in. Two thumbs up from me. For whom os this book? 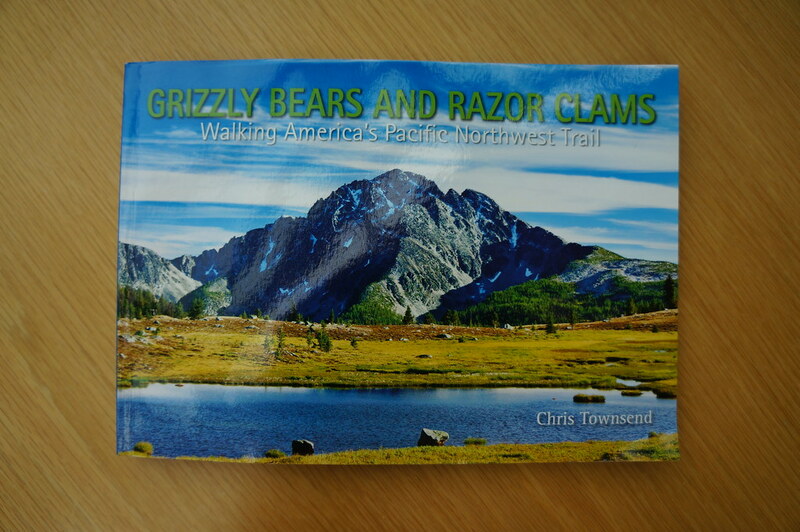 Grizzly Bears and Razor Clams is for anyone who is interested in long-distance hiking, for people who are curious to read about the Pacific Northwest Trail and for those who look for a good book to read while you’re not able to go hiking yourself.